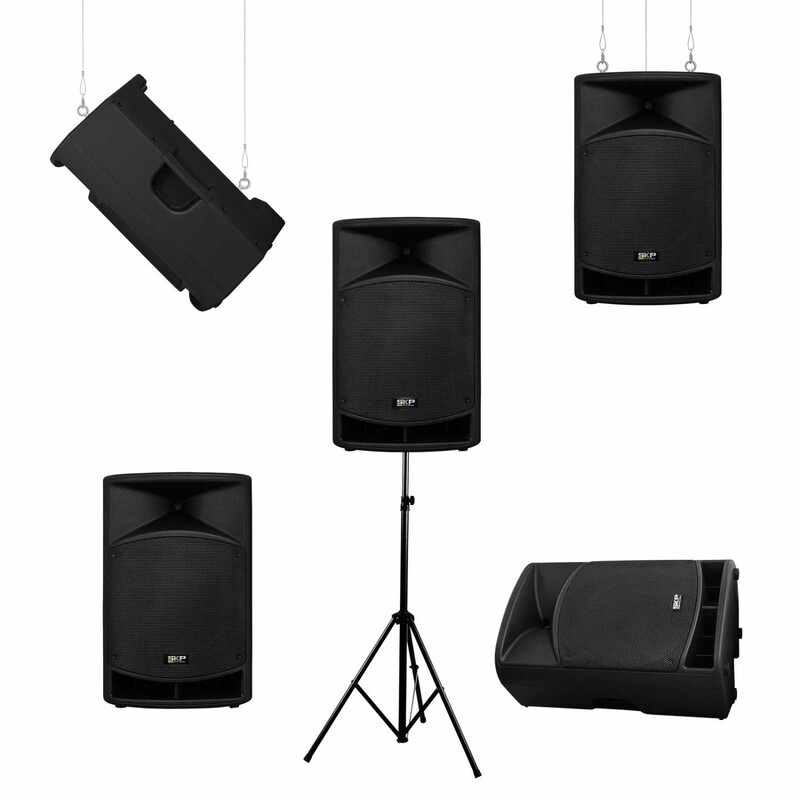 The serie Q is a bi-amplified high acoustic box of high performance and high quality. 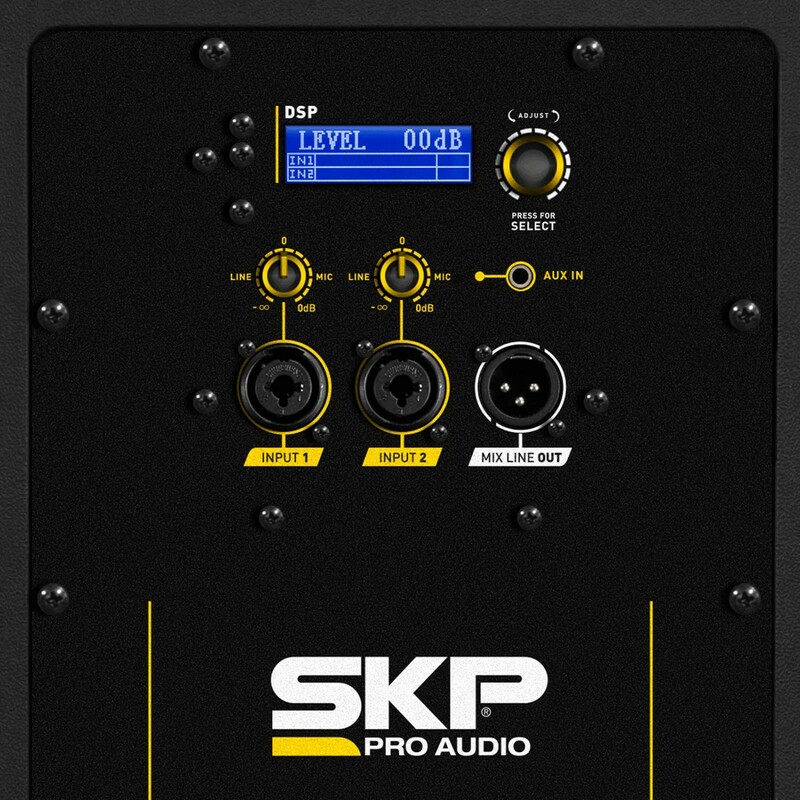 It is strong and has a powerful digital signal processor that allows you to choose, with the same box, different configurations according to the situation. 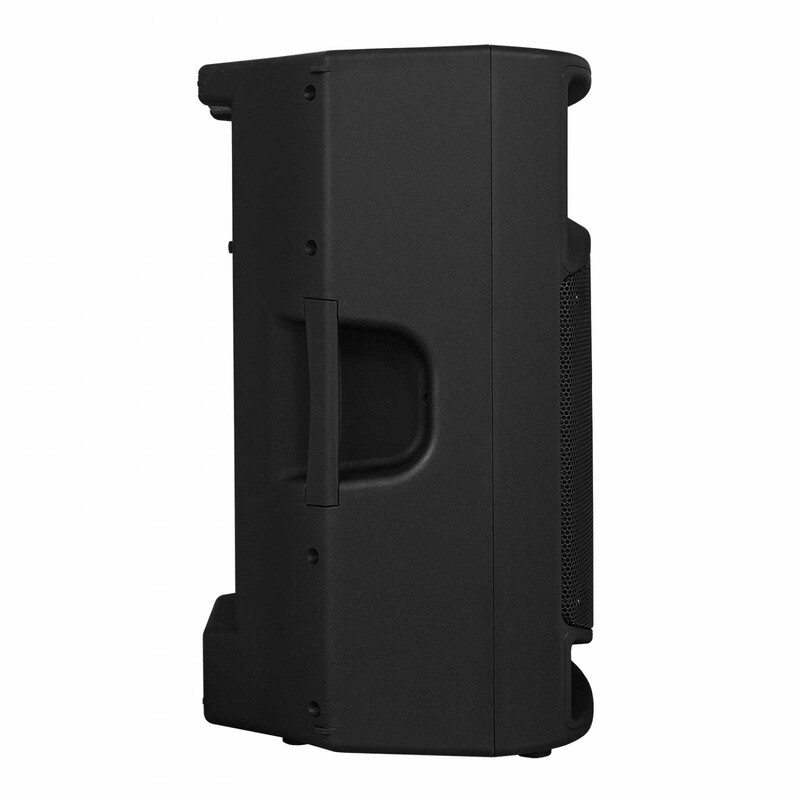 Thanks to led screen in the rear panel, it is easy to access, use and read. Power rating of 1000W. It requires a class D amplifier for low frequencies to guarantee a high performance and a Class AB amplifier for high frequencies allowing a high level of sound pressure in a far away range. 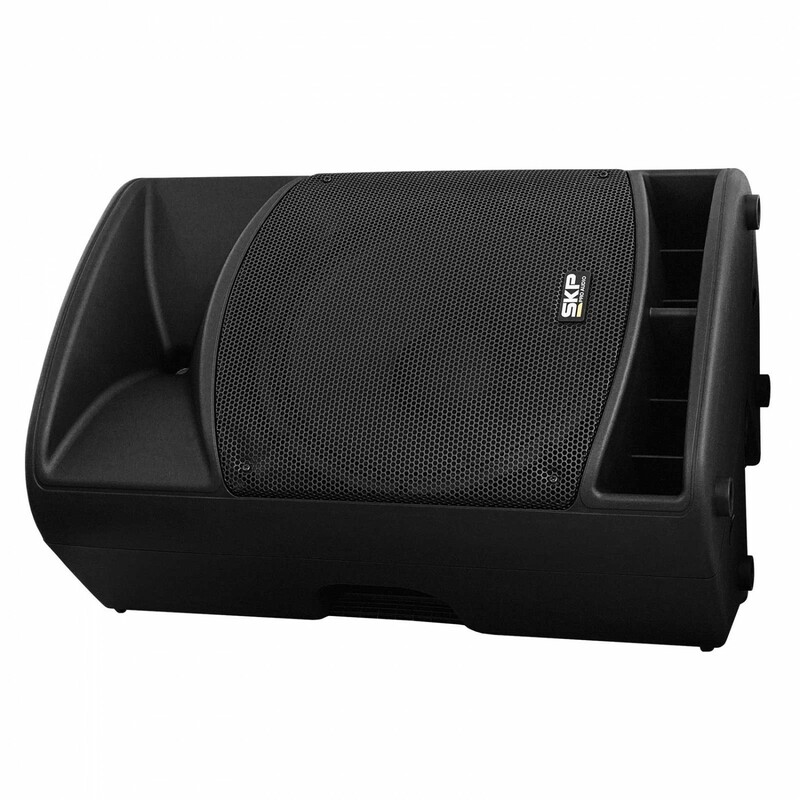 It is made with high density moulded plastic, of strong structure and reinforced on the inside to support the force and pressure caused by the internal electro-acoustic components. It has top and back anchor points. It has hard handles at its sides and on top for an easy transportation and handling. 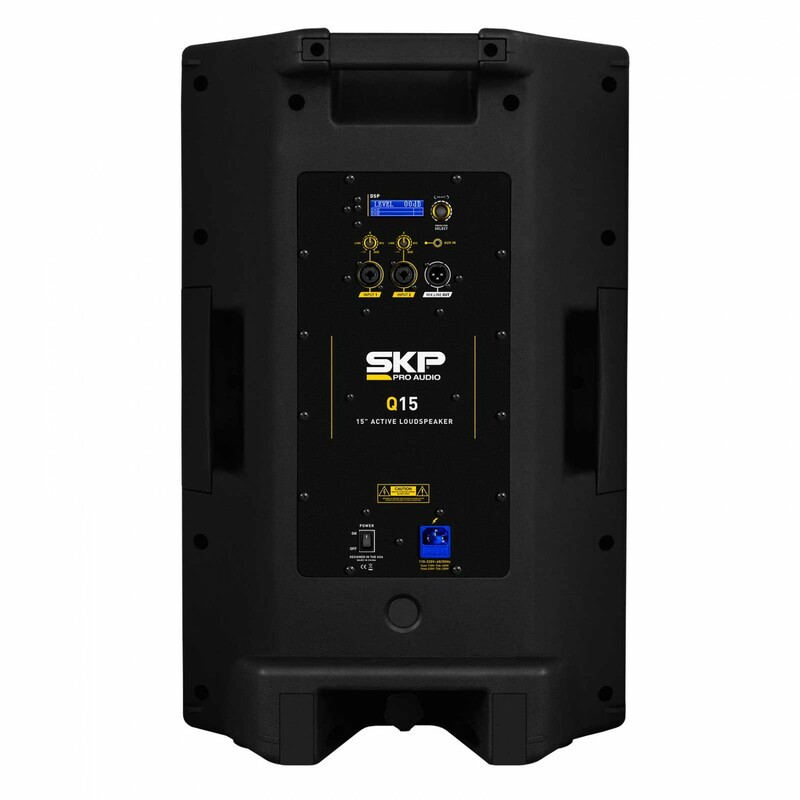 The Q line of SKP active loudspeakers has low and high frequency components of superior quality because of the materials specifically chosen to comply with all the procedures that the digital processor of internal signals offers and that can be set by the user. High quality combo type connectors to accept signals from different types of devices, such as a quick set up with microphone inputs or with inputs for mobile devices and also for more complex set ups with level line inputs. can be adjusted according to the room, or distances can be allowed between systems with the use of delays, among other functions. The pocessor´s control is completely available through a display that offers a clear reading of each function and an easy change of its values. 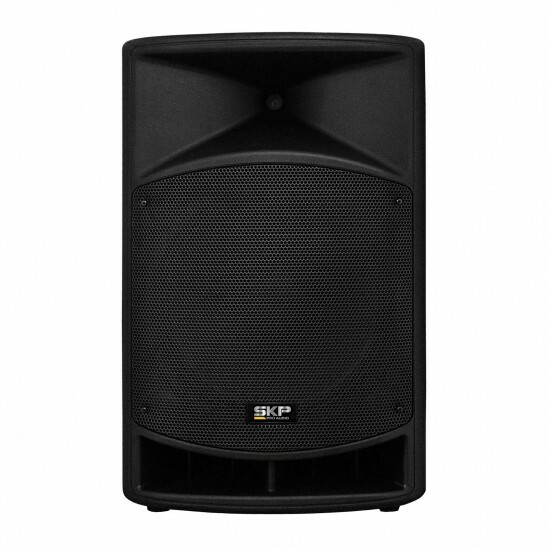 Moreover, this can be controlled through the digital encoder. in another section of the hall. Reset: It goes back to the original mode, music mode.